As I come toward the conclusion of the Pleiadian books, I am coming towards the conclusion of many other areas of my life. Primarily, I recognize how the outdated behaviors of my third-dimensional self lower my consciousness. Third dimensional behaviors have always limited our consciousness, but we could not identify them quickly enough to see the connection. Then, a long “time” after that behavior we would realize the cause of the situation that we had created. In other words, when we LET GO of my 3D reactions, a more creative and higher frequency energy field replaces that which we just released. With this realization, one may think that we would instantly “let go” of any third dimensional reactions to any person, place, situation or thing that is lowering my consciousness. The answer is because it has become “normal” to accept, behave, desire and/or react to life in a third-dimensional manner. As long as these behaviors are normal, we cannot see the portal of light that is quietly glimmering through the trees. This light is calling us to be aware of our both my reactive 3D self, as well as our Multidimensional SELF who constantly reminds us to LET GO of third dimensional challenges. In other words, our inner voice is whispering, crying, shouting to LET GO of old patterns of engaging in the now extinct third-dimensional dramas. Yes, these dramas are extinct, but many of our perceptual channels are tuned to a version of reality that only exists within my own unconscious self. Why did we never stop to consider just “who” was judging us and why. We were far too busy “trying” to be good enough for “them.” That is one of the main things that are changing. Because we are not judging our self, we are not be affected by the judgment of others. in the bowels of my computer. You have served in our legions during many incarnations. You have not been able to recognize this portion of yourself as you have placed it in the darkness and judged it as “wrong.” Before you can move through the gateway of Arcturus, you must make peace with your warrior. We have asked you if you would be willing to channel information for us. We have messages, which we would like to relay to the people of Earth that are willing to hear. We feel your doubt and fear to put your self in a vulnerable position. This fear is ungrounded. You are a great warrior. The word warrior in you language means one who is at battle. We translate the word “warrior” as one who is brave and unafraid of battle. Battle is not the first choice, but it will be taken if necessary. However, we on Antares have resolved the term battle into evolutionary terms instead of devolutionary terms. You are very connected to us because you were a Norseman and as a Celtic. Do you now remember your bravery? You were in your Light Body flying above your city. The vibration of your Los Angeles is much like the vibration of Atlantis during its fall. Our commander, Radulan, a name with which you are familiar, came to great you. There was a facsimile of a space ship created for you so that you could feel more comfortable. You have taken on a body this life that carries much of the genetic codlings of our people. Your line of heritage is Northern Europe. You felt our energy strongly when you where in Norway and Ireland. You have also taken a Norwegian husband. None of these incidents are accidental. You are moving into the future at the same time that you are moving into the past. In no time and no-space there is no separation between future—past or new—old. All simply IS. As you have learned before, your planet is moving into the IS, NOW and BEING of the fifth dimension. 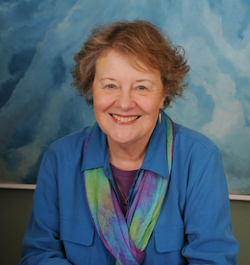 Feel this Isness, Nowness and Beingness about you as you communicate with us. Imagine now that we are with you. See our form. Yes, we are very tall by your standards. We have taken on a denser form than we usually wear to facilitate your vision of us. Do you now see two beings standing behind me to my right and my left? They are emanations of myself. At the point within this band or envelope that I place my consciousness, there is a peak of activity that fans out and behind me in both in both directions from that point of consciousness. Also, you can go in either direction on the circle. Therefore, you can begin again and again, or end—again and again. You, however, are not the point. You are spectrum. The point of your consciousness is just a tool that you can use at this point of your remembering until you can embraces more of your emanations. 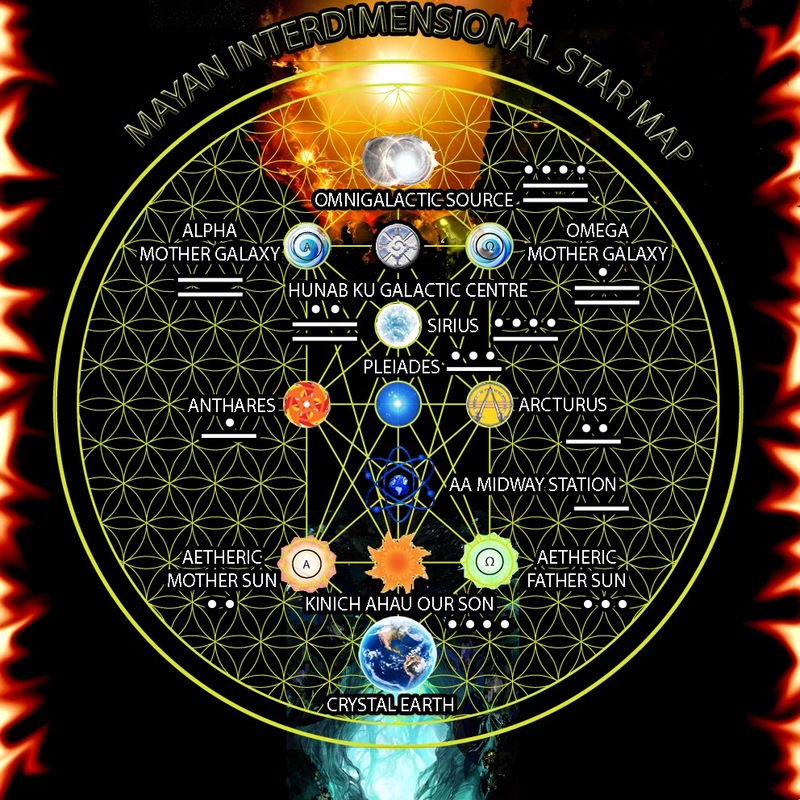 I add this Mayan Inter-dimensional Star Map because it shows the alignment of Arcturus, Pleiades and Antares (spelled with an H) with Sirius serving as the tip of that inner pyramid. These are three planets in our galaxy that been the most active in assist Earth with Her ascension. Thank you for sharing this post, Sue. It contains lots of helpful insight. Many thanks!